Police are looking for the driver who struck a group of people in a Fort Myers parking lot before speeding away. WINK News reports a woman driving a red four-door car drove into the group of pedestrians just off Marsh Avenue in Fort Myers. Police were trying to determine whether the driver did so intentionally before driving away. One adult and two children were taken to the hospital. Unfortunately, hit-and-run collisions are a common occurrence in Southwest Florida. Consulting an experienced car accident lawyer in Fort Myers can determine the best course of action following any traffic collision. Florida Department of Highway Safety and Motor Vehicles reports nearly 25 percent of all crashes involve a hit-and-run driver. In 2014, Florida updated criminal penalties for drivers who leave the scene of an accident. The Aaron Cohen Life Protection Act is codified in F.S. 316.027 and imposes a mandatory minimum of four years in prison for drivers convicted of leaving the scene of a crash that results in a fatality. The law is named after a 31-year-old cyclist and father of two who was fatally struck by a drunk driver who fled the scene of a 2012 crash in central Florida. Previous to the legal update, drivers who fled the scene faced lesser penalties than drivers who remained and were later convicted of DUI manslaughter. Under current law, drivers who flee the scene of an injury accident face a second- or third-degree felony, carrying a penalty of up to five years in prison, a $5,000 fine and a minimum license-revocation period of at least three years. Drivers flee the scene for a number of reasons. In addition to intoxication, common reasons include driving without a license or driving without insurance. Florida leads the nation in the number of uninsured drivers on the road, according to the Insurance Information Institute. More than one-fourth of all drivers in Florida are on the road without legally required auto insurance. Unfortunately, statistics show victims may stand little chance of making a meaningful recovery from an at-fault driver in such cases, even if the driver is ultimately located and held accountable for causing a collision. Other avenues of recovery may include a claim against a municipality or property owner, substandard infrastructure or design contribution to a collision, or a claim against a victim’s own insurance carrier in cases where uninsured motorist (UM)/underinsured motorist (UIM) coverage is available. Even when a driver is carrying insurance, Florida’s mandatory minimum auto insurance coverage is woefully inadequate. The state mandates just $10,000 in personal injury protection (PIP) and $10,000 in property damage coverage. Injury victims who do not claim PIP benefits in the immediate aftermath of a collision may see available coverage reduced to just $2,500. Florida does not require drivers to carry uninsured/underinsured motorist coverage, despite the fact that the state’s lax auto insurance law makes such coverage vital for injury victims. While your auto insurance policy is primarily aimed at providing benefits to injury victims in the event you cause a collision, UM/UIM benefits are meant to protect you and your family if you are injured in a collision with an at-fault driver who leaves the scene, does not have auto insurance or does not have sufficient insurance to provide you and your family with sufficient compensation. UM/UIM benefits will also pay for injuries you or a covered family member suffer while riding as a passenger in someone else’s vehicle, or while riding a motorcycle or bicycle. You will also be covered as a pedestrian. While other means of recovery may exist after a motor-vehicle collision, UM/UIM benefits are the first line of defense. An experienced injury lawyer in Fort Myers will also look at whether other third-parties share fault for causing or contributing to an accident. 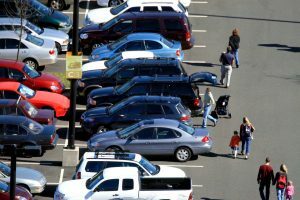 Parking lot design, lack of street lights and sidewalks, missing or inoperable traffic control devices and other issues may contribute. This particular incident occurred along Marsh Avenue, on Fort Myers’ east side, where lack of infrastructure, particularly for walkers and cyclists, has long been an issue brought to city council’s attention. If you are injured in Fort Myers, contact Fort Myers injury attorneys at the Garvin Law Firm at 800.977.7017 for your free initial consultation.